We would hardly be revealing a secret if we told you that cigarettes are harmful. And not only are they harmful for you, but for everyone else around you, including your family and friends. Want to know more? Cigarettes are also horrible for the environment, the ozone layer, and your clothes even. The list goes on and on. And yet, we also know so many people smoke and, for the most part, not even because they are enjoying the tainted taste of toxic fumes, but rather because they enjoy the cigarette as a prop in their hand, and also because they become addicted to nicotine. If you think about what we said there, you will easily see that cigarettes, then, shouldn’t necessarily be what they are – poisonous and dangerous. Instead, if you just preserve the shape and the feel of a cigarette, along with some optional nicotine for those who truly cannot cope without it, you will satisfy any cigarette-lover just as much, but also eliminate whatever is so horrible about the regular cigarettes. It is this kind of logic that brought electronic cigarettes to life and now these ‘devices’ are gaining a lot in popularity. 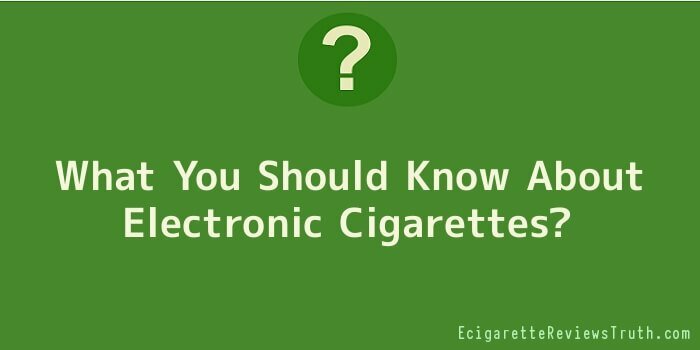 Read on and we will explain to you what electronic cigarettes are, how they are used and why they are just like the regular cigarettes, only much better for you. In brief, electronic cigarettes are mini-machines that produce flavoured vapour consumers are supposed to breathe in. Just like anything else on the market, they come in various shapes and sizes, but it’s safe to say the most popular types are the ones that resemble regular cigarettes the most, even in terms of being really light. The technology is very advanced now, so people can be accommodated even with these kinds of requests. With electronic cigarettes, which normally work on batteries, there is no smoke or flame and this is beneficial for a number of reasons. You can smoke the e-cigarette anywhere, even on a plane, since it only produces a small amount of vapour you inhale, and then there is no flame or smoke that could put the people around you in jeopardy or compromise their health. Furthermore, since there is no flame and smoke, this means there is also no horrid smell associated with cigarettes, and everyone around you can just relax. The mechanism of e-cigarettes is very simple – they work on batteries, but also contain a cartridge that you fill with the flavour you want to inhale, and an atomizer, a tiny part that heats up the cartridge and creates vapour. Some e-cigarettes are created for a single use only, but most consumers opt for refillable ones, as they are much more convenient and last much longer. Finally, e-cigarettes are not harmful for you, as they don’t’ contain any toxins or other ingredients of regular cigarettes. With them, you don’t have to fear for your health anymore, as they are perfectly safe for you to smoke anytime, anywhere.